GAMESCOM, COLOGNE – 21 August 2018 – As Esports becomes increasingly popular around the globe, there is a risk that cheating in online multiplayer games is a trend that could go on to have a huge negative impact on the Esports industry. 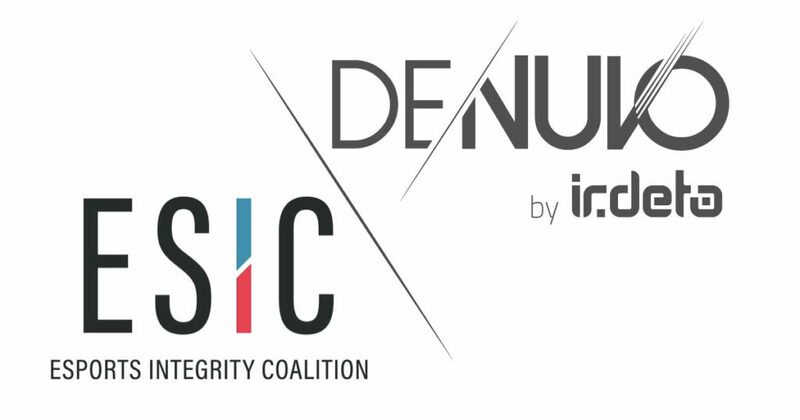 To help keep the playing field fair, Denuvo, which was acquired by Irdeto earlier this year, has joined the Esports Integrity Coalition (ESIC) to combat all forms of corruption and cheating in the world of Esports. Participation in ESIC follows a survey from Irdeto earlier this year which revealed that more than half of gamers in the UK (61%) and Germany (61%) have had their multiplayer gaming experience negatively impacted by other players cheating. The Irdeto Global Gaming Survey of 9,436 consumers also found that many gamers in the UK (74%) and Germany (68%) are likely to stop playing multiplayer online games if they feel that other players are gaining an unfair advantage through cheating. Already active in preventing cheating in multiplayer online games, which can distort virtual in-game economies and can be used to manipulate or bypass in-game micro-transactions, Denuvo knows this applies to Esports as well. Juniper Research predicts that consumption of Esports and streamed games will drive USD3.5 billion in revenue by 2021, and with increasing interest in this market and large prizes on offer in Esports events, cheating can have huge ramifications. Denuvo’s Anti-Cheat technology, which is soon to be launched as a full end-to-end solution, will prevent hackers in multiplayer games from manipulating and distorting data and code to gain an advantage over other gamers or bypass in-game micro-transactions. This will prevent dilution of the value of the game for the user and the game studio. The Global Gaming Survey was commissioned by Irdeto and conducted online from February 27, 2018 to March 14, 2018 by YouGov Plc. with 9,436 adults (aged 18+), of which 5911 were gamers, in six countries. The countries surveyed were: China, Germany, Japan, South Korea, UK and US. Figures have been weighted appropriately to be representative of adults in each country (e.g. nationally representative, urban representative, or online representative). The overall ‘global’ figures have been given an even weighting for each country to produce an ‘average’ value.